Invoice history based on 219 reviews. 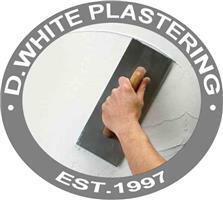 Hi, I’m Dan White of D.White Plastering Services. We are a family run business who pride ourselves on quality workmanship and customer satisfaction, trading for 13 years now. In that time I have completed many projects, large and small, which have included large commercial properties in central London, extensions, re-furbs and loft conversions in North/West/South London and sub-contract work on various hospitals throughout London and also included an appearance on a major refurbishment TV program back in 2007. However big or small the job let me and my team provide you with a first class plastering experience. Central London, North London, West London, South London, East London, Surrey, Middlesex, Kent.